January 20 is Heroes' Day in Cape Verde and Guinea-Bissau. This is a public holiday that commemorates the assassination of Amílcar Cabral in 1973. 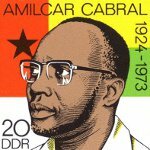 Amílcar Cabral was a Cape Verdean and Guinea-Bissauan writer, agricultural engineer, nationalist thinker and political leader. He was born on September 12, 1924 in Cape Verde. He educated in Mindelo, Cape Verde, and later in Lisbon, Portugal. While studying agronomy in Lisbon, Cabral founded student movements opposing the dictatorship ruling of Portugal. He promoted the cause of liberation of the Portuguese colonies in Africa. Cabral came back to Cape Verde in the 1950s and he founded the PAIGC (African Party of the Independence of Guinea and Cape Verde). He was also one of the founders of the MPLA movement for liberation of Angola. Cabral led the PAIGC's guerrilla movement since 1963 till the day of his death in 1973. This movement later evolved into one of the most successful wars of independence in modern Africa. Amílcar Cabral was assassinated on January 20, 1973 on his way back from the Embassy of Poland in Conakry. His death was a heavy loss for Cape Verde and Guinea-Bissau, but it didn't stop the guerrilla movement. Today January 20 is observed to commemorate the contributions of Amílcar Cabral for liberation of Cape Verde and Guinea-Bissau.